Tis the season for holiday parties, festive get-togethers, office shindigs and of course glamorous (maybe over-rated) New Year’s Eve celebrations. While I love the holiday season, and the good cheer it brings, there are a few things that are making my list this year for holiday cheer. Holiday Cookies. One can never say no to my Toblerone Shortbread. Lights Lights & more Lights – though sometimes eerie (especially on bare trees) I love how beautiful the city looks as they twinkle! Christmas Displays - Need I say more? 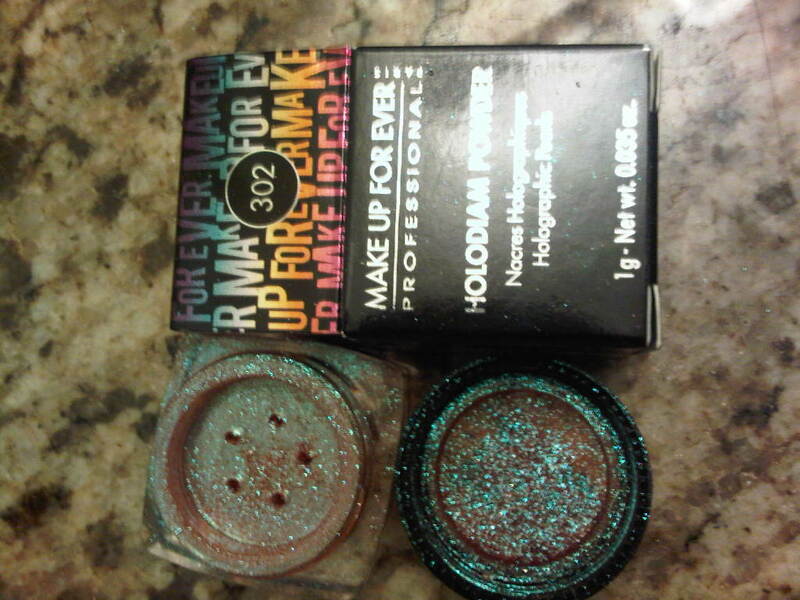 Make Up For Ever’s Limited Edition Eye Shadow from the Holodiam Collection #302. Ever since I saw this, I knew it had to be mine. I mean an eye shadow that has a unique finish of 3 colors in one? Sign me up! Ok in all seriousness though, I am in love with it! Make Up For Ever has just been stepping up to the plate recently with things that I must have. Especially for my skin tone, the multiple highlights and color reflection from one shadow makes this a perfect showstopper. Beware: This small package contains lots sparkle to tickle your toes and perfect for that stocking stuffer. I’ve worn it to work (a light finish and it did not illicit crazy stares from co-workers) just brush it on (make sure to put a Kleenex under your eyes to catch any of the extra that falls from the brush). And I’ve worn it wet for a dramatic nighttime look. Love the way this goes on! gives so many hues without having to mix with anything else! I’d have to say, this holiday season is shaping up mighty fine: I’ve already seen some lights, holiday displays and put my sparkle on. Guess the only thing left to do is actually bake those cookies! What do you think? 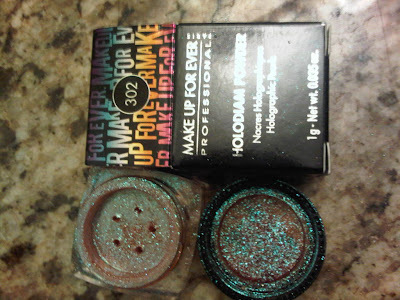 do you like the new Holiday Holodiam Collection by Make Up For Ever? Love it! Great colour. And I'm so glad you posted a picture of it on your eye. I'm so bad at being able to tell what makeup will look like out of the package! Wait, did you see Toblerone shortbread? Oh u must share the recipe now. Sounds deliciously buttery and chocolatey. I can almost taste it now. Im making Mac N Cheese and cake for thanksgiving on Thursday. Has Canadian thanksgiving passed yet? Oh, I would love to wear glitter eyeshadow! 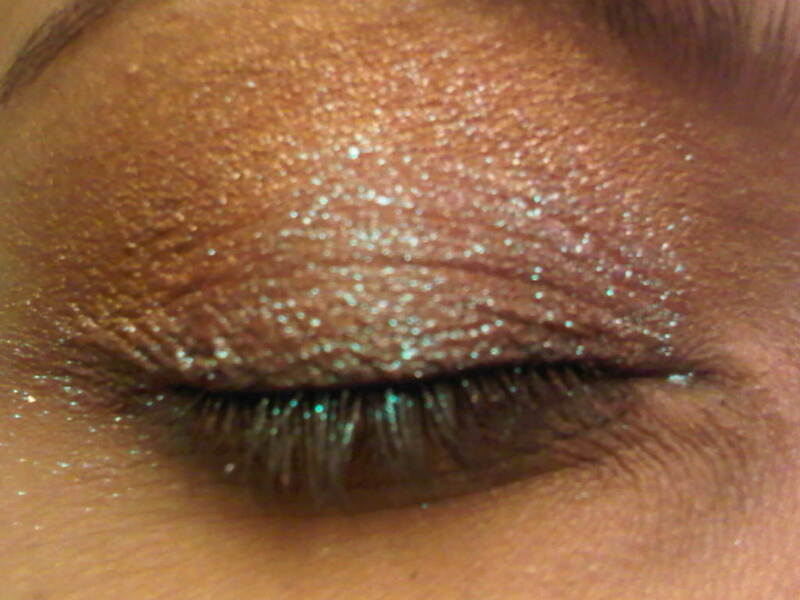 I've been layering glitter over my silver cream shadow but that eye shadow looks divine! Very cute! Great for NYE! You are so right - you can never eat too many Toblerone shortbread! And that eyeshadow looks amazing. I've really only used Make-Up Forever products a handful of times, but from what I've seen, they really know what they're doing. That shadow looks fabulous, I'm blown away by the fact that it's only one shade! Loving the glittery eyeshadow for the holidays - so pretty! so gorg! one word . LOVE. ok two, stunning- that is all... loving your blog. xO!